IndiGo, India’s largest airline, has decided to pull out of the race for Air India, the country’s flag carrier which the government of prime minister Narendra Modi put up for sale last month with the announcement that it would accept bids for a controlling 76% stake in the loss-making airline. Press reports from India were quoting IndiGo as saying that it was pulling out as it was not interested in taking over Air India’s domestic operations. Last year, IndiGo had made it clear it was primarily interested in Air India’s international business and its low-cost subsidiary Air India Express, which operates in West Asia. Analysts described the move as a setback for the government’s disinvestment process as no other Indian airline has the capability to fund the process. In a research report SBI Caps pegged Air India’s value at US$2.5 billion (approximately Rs 162 billion). 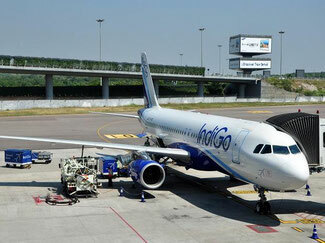 “While most Indian carriers are eligible to bid, arranging funds could be a challenge. Airlines with strong balance sheets, like IndiGo, or those with strong sponsor support, like Vistara, are better placed,“ SBI caps said in a statement. News reports are now naming Naresh Goya-led Jet Airways (India) Ltd, Qatar Airways Ltd - perhaps in partnership with an international carrier - and the Tata Sons-Singapore Airlines joint venture Vistara as potential suitors for Air India’s airline business. Separately, Turkey’s Celebi Aviation Holding, Bird Group, Menzies Aviation Plc. and Livewel Aviation Services Put. Ltd have shown interest in acquiring Air India’s subsidiaries. Media reports suggest that Air France and Delta may also be interested.